Visit the native wildflower garden on the west side of the Museum for ideas on transforming your yard into an inviting and colorful, yet practical and water-saving haven for butterflies and other pollinators. Follow the path between the Florida Museum and the Harn Museum and signs will guide you to the garden. 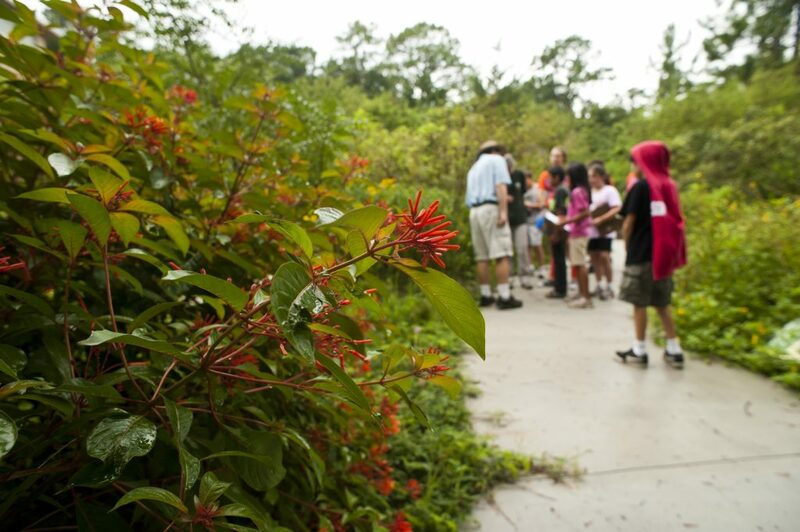 Follow the winding path through plantings of diverse native wildflowers and observe butterflies and other insects in action. Each season brings new surprises. 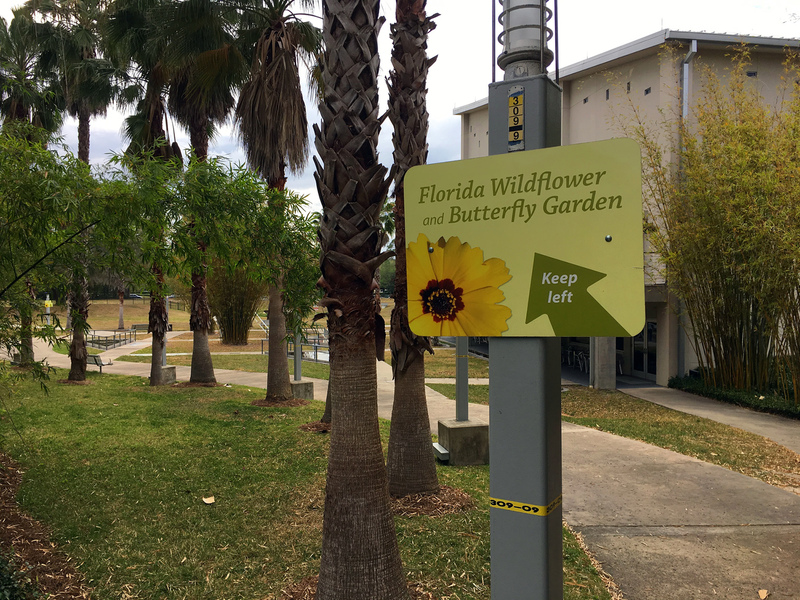 Interpretive panels along the route feature stories about Florida butterflies, native plants and how plants support the butterfly life cycle. Start or finish your tour with this display inside the Museum near the Butterfly Rainforest exhibit entrance. The display showcases four butterflies, the plants they use and how both change over the seasons. 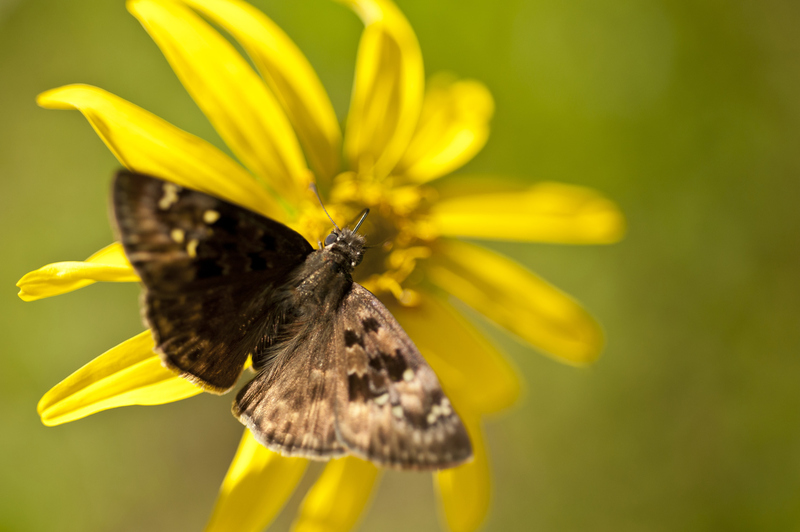 Florida’s state wildflower is the Coreopsis, a great nectar source for butterflies. 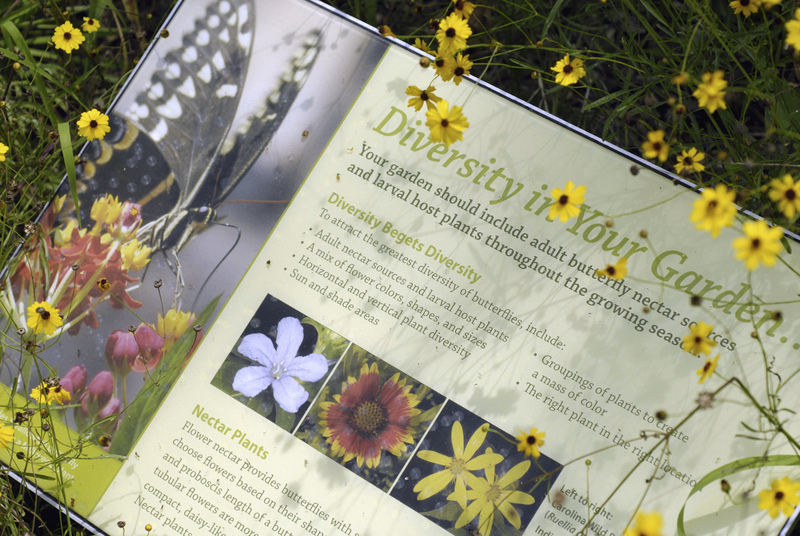 Thirteen Coreopsis species occur in Florida. Most have bright yellow, daisy-like flowers. Florida is home to more than 180 species of butterflies and about 2,500 species of plants that are native, or naturally occurring. The Zebra Longwing, Heliconius charitonius, is Florida’s state butterfly. The adult butterfly can live up to several months, much longer than many other species. Its caterpillars feast on the Purple Passionflower.